Josh and Emily have defeated the dungeon and are back in the bar to listen to take listener recommendations. Josh says, thank you, you're welcome, and he's sorry. Emily is considering whether or not new car smell is spa-worthy. We learn about Rob Nichol's old job, Emily's new games, and Josh gives a call to action for a Spa Bonus Zone. Will Emily scare her friends? Will Josh ever speak again? 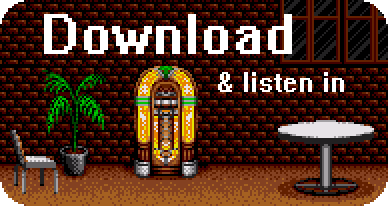 Find out here on the VGM Jukebox! There’s a willful innocence in both Old Wives Tales and old adventure games. It reminds me of the terrible times in my youth, when I lost myself in games to escape. Which isn’t so bad, because I always remember the games most.